Since presenting at 21CLHK I’ve become aware that a whole heap of schools are using Minecraft in some way with their students. I’ve also become aware that there is also a whole heap of schools that don’t but would love to. I’ve reacted to this in two ways: creating a Google+ Community called Minecraft in Education and starting a new vodcast/webisode/something called Minechat. 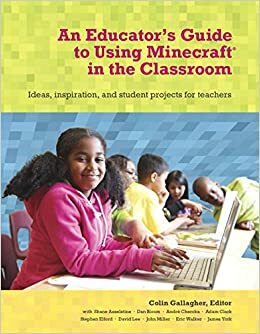 In Minechat we will visit with a guest (usually in their student’s Minecraft server) and discuss their journey in using Minecraft in Education. In the first episode of Minechat Rob Newberry (@robnewberry) and I (@colingally) were joined by Joel Levin (@MinecraftTeachr) to chat about how we got started in Minecraft, MinecraftEdu, and the future of Minecraft. We hope you enjoy the episode, our second episode will be posted next week were we will visit Rob Newberry’s school Minecraft server and talk to Michelle Chan, a teacher based in Hong Kong, who is just beginning on her journey using Minecraft in her school.